There are two simple things that you must do to successfully send email newsletters in Chinese. 2. You must select the Message Encoding and Character Set in GroupMail appropriate for the language you want to use. This article will show you how to configure the Regional and Language Settings in Windows 7 (English Version) and the Message Encoding and Language Character Set in GroupMail. 2. 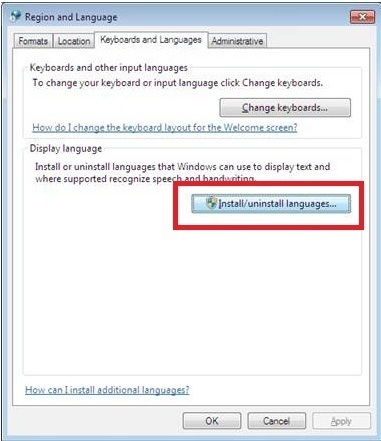 Choose to Install a Display Language and from the Windows update option, install the Chinese Language pack if not already installed. 5. 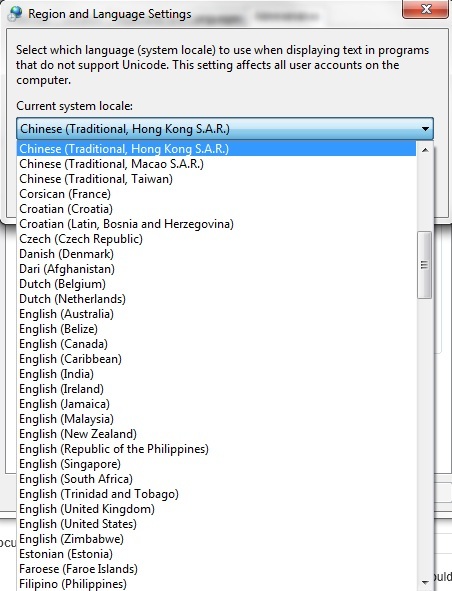 Select Chinese as the Language for non-Unicode programs from the drop down list. ** NOTE **� If your messages uses “Simplified Chinese” then please choose “Chinese (PRC)” as the current system locale. The screen shot below shows what to choose if your message characters are “Traditional Chinese“. 6. Press OK, to Save. 7. Now you MUST Restart your PC for these settings to take effect. How to configure the Message Encoding and Language Character Set in GroupMail. 1. Open GroupMail and go to the Tools/Message Related Options. 2. 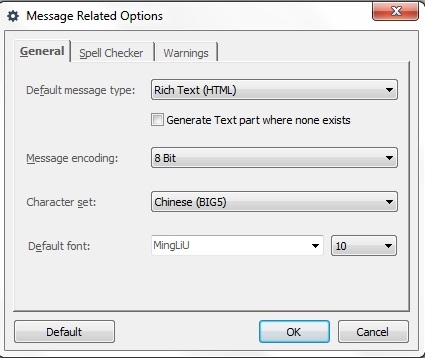 Change the Message Encoding to “8 Bit″ and the Character Set to “Chinese (BIG5)”. Keep the rest of the settings the same as the default values. ** NOTE ** � If your message characters are in “Simplified Chinese” then please choose “Chinese Simplified (GB)” as the Character Set. MingLiu is one of the recommend Font from Microsoft as the standard “Tahoma” font does not have all the Chinese characters. 3. Press OK to save these changes. 4. Now, you are ready to start composing your email newsletter message for your Chinese mailing list. If you have any questions, or need any help along the way, contact the GroupMail Support Team.